The Albany County-based SAFE Project is heading up a new effort to engage men in the movement to end violence against women. 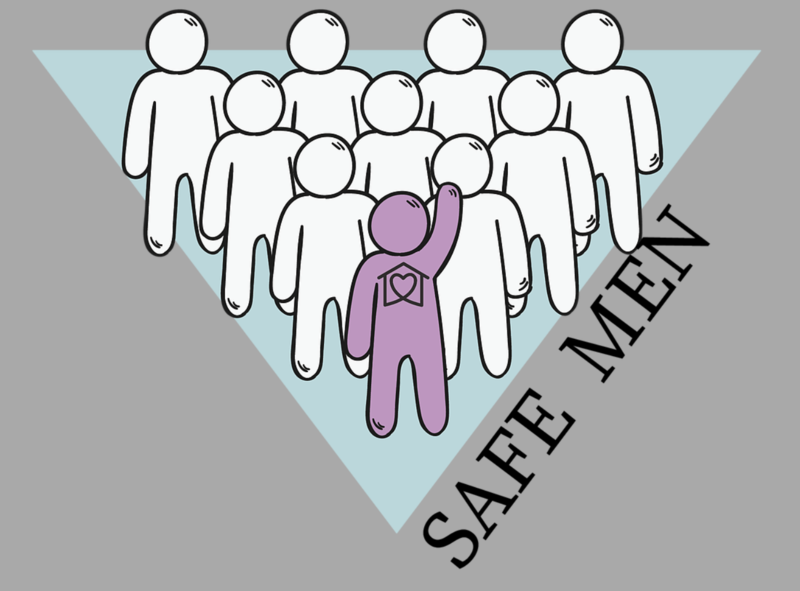 The SAFE Men program plans to select ten men each year to participate in training, where they'll learn why sexual abuse and domestic violence happens, and then design a project to create change on a specific issue. Livvy Gerrish, the SAFE Project's outreach coordinator, said with the uptick in attention on violence against women she's also heard from more men about what they can do to help. "So many people were like this is a huge problem." Gerrish said men told her: "I'm so upset about it. But honestly I don't have any tools and I don't know what to do. I don't know how to make change and improve my community without making things worse." Gerrish said the hope is the training will address those fears and empower men to step up to make their communities safer. "I think in Wyoming we see this a lot, and even nationwide, but particularly in Wyoming, we are a patriarchal society," said Gerrish. "Many people think that domestic violence and sexual violence and gender-based violence is a women's issue." The danger in seeing it as a women's issue, Gerrish said, is then the burden falls on women to fix the problem. One hope of SAFE Men is to increase the number of advocates by helping men to see that sexual violence and domestic violence are their issues too. Nominations and applications are accepted until December 1. There's more info at safeproject.org. Last year, Illinois passed legislation that requires cosmetologists to receive domestic abuse prevention training as part of their licensing process. Many people form strong bonds with their hair stylist. Now Wyoming is interested in turning to cosmetologists for help spotting abuse in a similar way. Hundreds of people gathered in Laramie earlier this month in memory of victims of Domestic Abuse. Since 1985 over 60 people have been killed in Wyoming in instances of domestic violence, and each year the Silent Witness Ceremony and March pays remembrance. As a bagpipe plays at the head of a column of people, Sonny and Laurie Pulver hold wooden silhouette between the two of them as they march through the streets of Laramie. “We’re carrying my husband’s sister’s silhouette. She was killed New Year’s Eve of 1999,” says Laurie. Advocates for victims of domestic abuse and sexual violence are marking some big wins after this year’s legislative session. Wyoming Public Radio’s Caroline Ballard spoke with Tara Muir, the public policy director for the Wyoming Coalition Against Domestic Violence and Sexual Assault, who has been characterizing this session as "The Year of the Survivor." As stories continue to surface from survivors of sexual violence so do questions about how to reduce the rate at which assault happens. The Equality State Policy Center is hoping to help empower Wyomingites to seek solutions by offering a one day workshop called SHAPE #metoo.